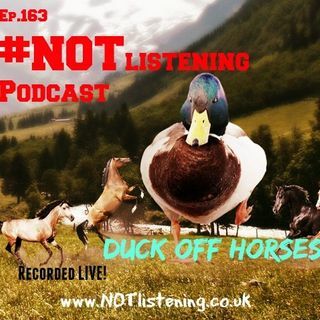 Explícito Ep.163 - Duck Off Horses! Ep.163 - Just a Random LIVE Episode! In this Episode, The Guys Go LIVE on Spreaker for a return of sorts to the Podcast! The First of 2015 featuring all three guys. In this show they (hopefully) answer some listener questions, discuss about the future of the show and some other random chit chat.